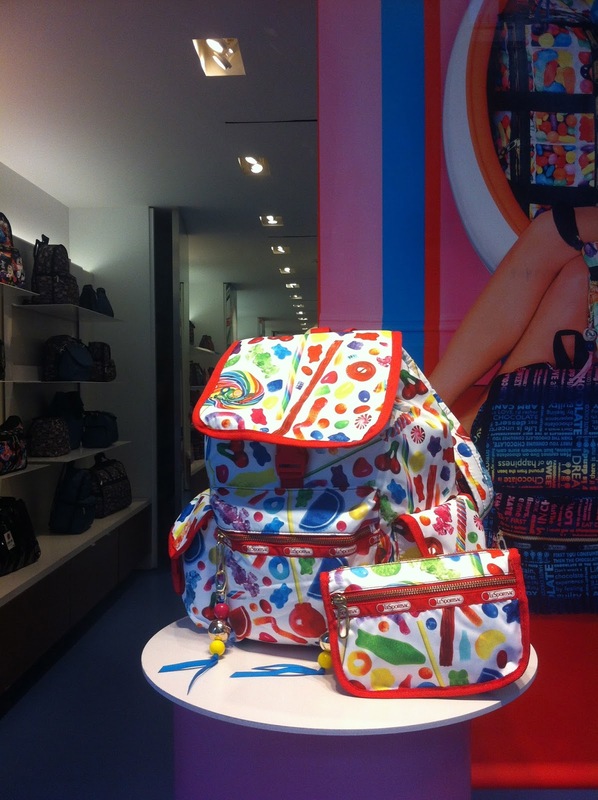 Obsessive Sweets: LeSportsac x Dylan's Candy Bar = Candy Bags! LeSportsac x Dylan's Candy Bar = Candy Bags! The other day I was strolling along Madison Avenue and my gaze was arrested by the bags pictured above in the LeSportsac shop window. I stopped in my tracks, mesmerized by the technicolor candies on display. 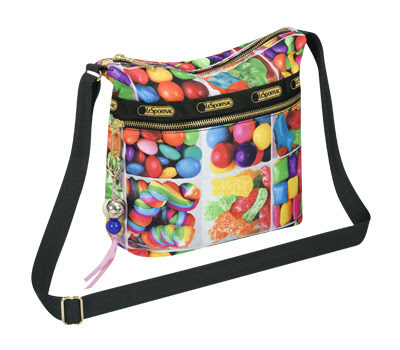 After snapping two quick photos, I ran home to the LeSportsac website and discovered that the bag company collaborated with Dylan's Candy Bar to create a limited edition run. (click here for the full visual array). The two major patterns of the collection display sumptuous, tempting images. I'm not sure I could handle that kind of constant candy reminder all the time- almost guaranteed my (already somewhat problematic) sugar consumption would increase two-fold with the addition of this delightful bag. Heh heh. I read this early in the morning before I was really awake. Your phrase "arrested gaze" woke me up. Her gaze got arrested???? Where is her gaze now???? How about the week ender, sugar cube design, filled with candy? Oh no! And see here I was just jealous that you can begin your sentence "the other day, as I was strolling along madison avenue..." Ah, NYC.